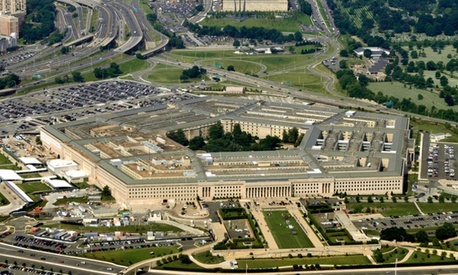 The House approved a $606 billion Defense Department spending bill late Thursday that contains a pay raise for military members but not the Pentagon’s civilians. The measure passed the house by a 326-90 vote and provides $518 billion in nonwar funding, $1.1 billion lower than the initial versions of the legislation had allotted. Debate on the House floor focused primarily on funding levels in Afghanistan and Iraq, as well as efforts from members in both parties to limit defense spending to help reduce the deficit. Defense must find $487 billion in savings in its budget over the next 10 years, or face an additional $600 billion in cuts over 10 years as part of $1.2 trillion in cuts governmentwide. The White House threatened to veto the bill prior to its passage Thursday; the initial version was about $3 billion higher than President Obama’s budget request. Pay and benefits provisions were among White House objections: The spending bill approved by the House includes a 1.7 pay raise for military members, as does Obama’s budget proposal. But the legislation does not include Obama’s recommended 0.5 percent pay raise for civilians. An amendment included in the bill would prohibit funds from being used to increase TRICARE for Life -- TRICARE health coverage for Medicare-covered beneficiaries older than 65. The amendment, sponsored by Rep. Cliff Stearns, R-Fla., passed by a 399-17 voice vote. The Obama administration’s fiscal 2013 Defense spending request included proposals to hike TRICARE fees to generate savings, including new co-pays, additional increases to TRICARE Prime enrollment fees, initiation of standard and extra annual enrollment fees, adjustments to deductibles, catastrophic coverage caps, and annual fees for Medicare-covered beneficiaries older than 65 (TRICARE for Life). Additional TRICARE for Life fees “represent a very serious breach of faith, as it taxes the oldest cohort of military retirees and their families,” Stearns said Thursday. The House-passed National Defense Authorization Act for fiscal 2013 also chose to exclude the administration’s request for the authority to levy the increases. The Senate is expected to mark up its version of the Defense spending bill after the August recess, but a compromise and final spending bill seem unlikely to come together before November’s lame duck session. The Senate has yet to pass any appropriations bills. The House also has remained silent on federal civilian pay freezes in other appropriations bills. The bill also scrapped an amendment authored by Rep. Paul Tonko, D-N.Y., which would have capped Defense contractor salary reimbursements at $230,700, the same level proposed by the Senate last month. The provision was dismissed on the procedural grounds that the matter was better suited to an authorization bill. It still could be included in the spending bill when conferees from the House and Senate finalize the language. This story has been updated with details and comment. CORRECTION: The original version of this story attributed a statement to NTEU President Colleen Kelley. The statement was from Rep. Paul Tonko, D-N.Y.